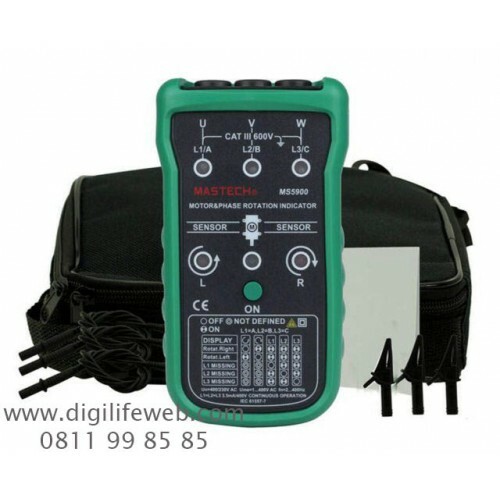 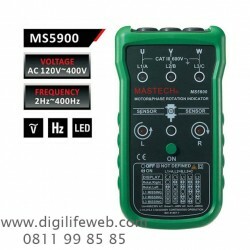 MS5900 Motor and Phase Rotation Indicator is a handheld, battery-operated instrument which is specialized for 3-Phase System Rotary Field Detection & Motor-Rotation Direction Determination. 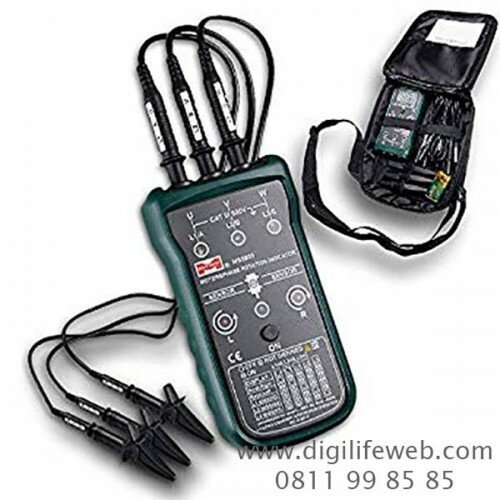 Unique Non-Contact Motor Direction Indicator : Just simply place indicator on top of motor & calibrate with Motor Shaft in order to confirm Motor Direction. LED Indication for Rotating Status.